Communications Engineering Inc (CEI) has hired Logan Hinnant to develop new sales opportunities for CEI's audiovisual and media IT business. Logan comes with a wealth of AV industry experience, having spent the last nine years at RTW Construction Corporation as media services division manager. Logan will focus on driving new business for CEI, working closely with clients to identify their needs, presenting innovative technology solutions, and spearheading new AV projects for houses of worship, commercial, government, higher education, retail, and sports venue AV clients. Logan has a proven record of facilitating long-term business relationships with both customers and industry partners. 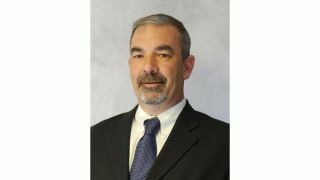 "I am excited to start a new challenge at CEI and look forward to opening new markets for CEI's extensive AV design/build services portfolio,” Hinnant said. “I’m certain CEI's focus on providing top-quality project builds and long-term support services will prove highly successful in the markets I will be pursuing."